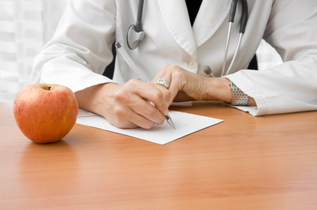 Is the HCG Diet Right for Me? Looking to shed a few pounds fast? You are in luck. Our Phoenix HCG Diet Programs and physician guided weight loss programs can help you get the weight off and keep it off! We have been serving the Phoenix and Scottsdale area for over 5 years and have helped hundreds of people just like you loose weight and keep it off, no gimmicks, no tricks. We tailor our programs to your needs. Fast or slow we can help you reach and maintain your weight loss goal. Give us a call and let us help. Dieting, the very sound of the word inspires dread in most. You want to lose weight, but the constant hunger pangs, the cravings, and the challenge of knowing what to eat make the odds of sticking with your diet seem unlikely. Luckily there's now a safe way to diet without the constant headaches and hunger, irritability, or confusion about what to eat. Human chronic gonadotrophin, or HCG for short, is a naturally produced hormone that can help. When HCG is introduced to the body in conjunction with a 500 calorie a day diet, it has been shown to alleviate discomfort associated with dieting easing the discomfort with dieting. Our medical weight loss program can address such as a thyroid problem, hormone imbalance, vitamin deficiencies, poor diet and more. Hormone balancing in conjunction with or separate from the HCG weight loss program has also helped a lot of our patients reach their goals. Our injections for weight loss program is a cost effective and simple program that allows you to get started with weight loss quickly and get guidance on diet along the way. SW Integrative Medicine is a full service weight loss clinic that offers Phoenix HCG Injections and other weight loss programs. We'll help you design a low calorie diet that works for you and then provide all the necessary tools to get you to your weight loss goals. With phoenix hcg injections and our skilled weight loss physicians you can't go wrong.You'll be amazed at how fast and easy dieting can be with the help of phoenix hcg diet program or other physician guided weight loss program. Depending on which program you choose we provide recommendations on diet, exercise, hormone imbalances, vitamin deficiencies and more. To start your Phoenix HCG Injections Diet and your phoenix weight loss journey, call us today 480 451 5407 or set up a free consultation! Get a free HCG Book! Click any link below for more information!